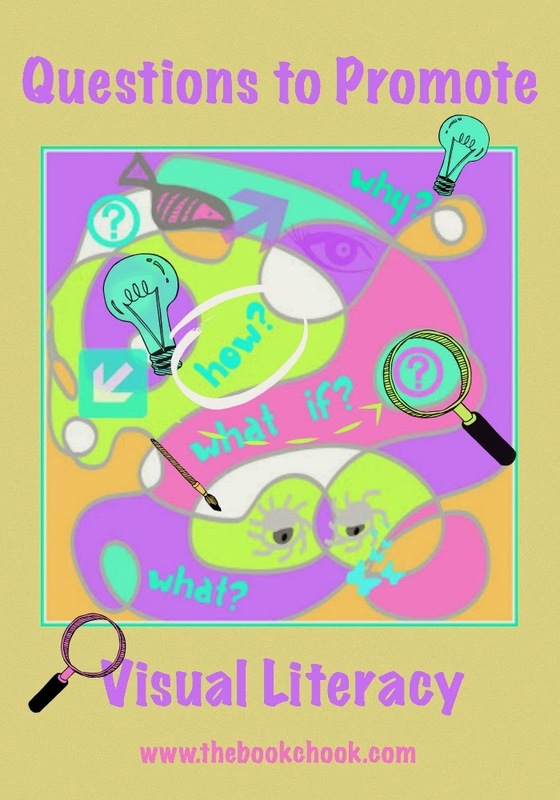 What IS visual literacy? Here's one general definition I like, from Wikipedia: Visual literacy is the ability to interpret, negotiate, and make meaning from information presented in the form of an image, extending the meaning of literacy, which commonly signifies interpretation of a written or printed text. Visual literacy is based on the idea that pictures can be “read” and that meaning can be communicated through a process of reading. In an increasingly visually complex world, it's crucial for kids to think critically about what they see, and understand it. The other side of that coin is that they need to thoughtfully produce visual content. I think asking kids questions about what they see is not only an easy task to include in daily home and classroom activities, but also a powerful way to promote visual literacy. Building visual literacy skills is like building any literacy skills: making it a habit, a routine, regular and purposeful, almost guarantees natural learning. Here are some question starters and questions you might like to use with your kids/students to encourage visual literacy. If you can only choose one question starter to use with kids, let it be this one. What if the word "Stop" on the sign was in yellow letters? What if we wanted to show anger with the colours we use? What if the movie makers had chosen real actors to play the animals? What if the pigeon wanted to drive a submarine? What if that image were smaller/bigger/closer? What if this picture isn't real? How does the picture make you feel? How did the actor show her hurt? How can we use images and words to communicate our own message? How would the message change if a different medium was used? How did the illustrator create this image? How can we use advertising techniques to persuade people about our own ideas? What emotion do you think the creator wanted to make people feel? What action does the illustrator want you to take? What makes that logo effective? What message do you want people to take away from your painting? Why did the creator make this image? Why have you chosen that medium to create in? Why is that image so powerful? Why did this advertisement choose those words and font and colours? Why do you want to communicate this message? Please share other ideas you have for encouraging our kids to be visually literate. Wow, this is so interesting. I've never thought about visual literacy like this. I have to be honest, those are not prompts I generally use when reading with my kids. I'll have to start incorporating them. Thanks for the tips. This is still a skill elementary kids are working on. Some of it falls under that critical thinking mode. BTW, I now have 536 followers and around 300-500 visitors a day, but YOU were my first follower. Thanks for supporting me when I was just getting started in the blogging world. @Jackie HigginsMore useful tools for that parenting toolbox Jackie! @Joyce Lansky Good for you! BTW, Rita Rudner is one of my faves too.